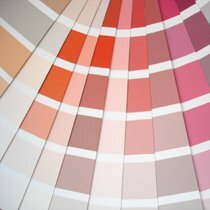 There are many different kinds of interior paint on the market: latex, arylics, oil based, alkyd paints, and shellac. 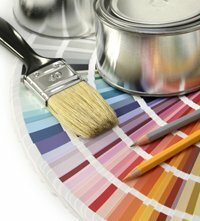 Especially when using acrylic and oil based paints, it's vital that you do your interior painting preparations. It's the only way to make your paint coats hold. 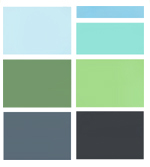 Check here for more on primer paints. Acrylic paints can be painted on latex or older acrylic paints - not on oil based paints. In that case, it's better to use a primer first. Acrylics have been known to be not as durable as oilbased paints, but in art painting it's a known fact that acrylics can't be painted over oils. All in all, I think acrylics have a better chance on a coat of primer. The primer can be oil-based (it will stick on the oils), the acrylics will hold to the primer because the primer is absorbent. 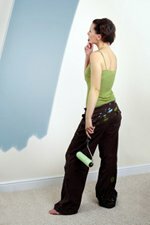 Acrylic interior paints are good for woodwork and drywall. Also for walls that need to be washable (like those in the kitchen). Fresh wood or drywall needs to be treated with a primer first. Even if they're waterbased, acrylic paints are still rather chemical. There are many different kinds of acrylic binder, and one is more toxic than the other. 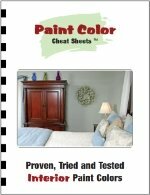 Check here for low-voc and non-toxic paint. For acrylic paints, use synthetic brushes or paint rollers. If you want to do 100% hiding, do several coats and use a paint roller instead of a brush. But most interior paints (especially the shiny ones) level out, that is: the brushstrokes disappear before the paint goes dry. 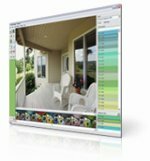 Paint can become heat reflective by adding a ceramic compound (microspheres). This is a dry powder that can be added to regular house paint, but it's alsy availble as a low-voc acrylic wallpaint. It can be used in hot areas to keep the house cool, and in cold areas as interior paint, to keep the heat in. Heat reflective paint can significantly improve the house climate, and save more than 20% on your energy bills. It's most effective, when applied to walls and ceilings. A most enjoyable newcomer: waterbased alkyd paint. It's one of the most sustainable paints around - alkyds are made of soy oil, blended into an emulsion that can be thinned and cleaned with water. It's low-oder, gives a tough paint film, and still it's less chemical than acrylic paint. I know of only one brand having it (dura-soy). It can be matched in any color, and it hides in one layer. The paint is very thick and fluffy, but is easy to handle. For hiding, no priming is needed, but for best adherence on oil-based paint it might still be good to give it a shellac primer. Some paints can give something extra for kids to play with, or help you organize. With chalkboard paint, you can turn any area into a playground, agenda or menu. It can be made in any color. Magnetic paint can create magnetic boards or walls - for yourself, or your kids (playing with letters etc.). It can be painted over to change the color, but then the magnetic quality diminishes. You'll find it at Blick Art Materials , search for Krylon magnetic paint. Krylon also sells a glow-in-the-dark paint, for painting a starry ceiling or a comforting figure in the children's bedroom. Shellac is an unusual material, compared to the others mentioned here. It's a very tough, crystalline material, and only dissolves in alcohol. It dries extremely fast: it can be painted over within an hour. While you work, there's a high emission of VOC (Volatile Organic Compound - or: the alcohol). But when dry, it's considered non-toxic and safe for childrens toys and furniture. Shellac can be used on difficult surfaces: tile, glass, and laminate. On this page you'll find more on applying shellac. Oil based paints actually were very good house paints - it's only because of added chemicals they were banned (check here for organic oil paint). 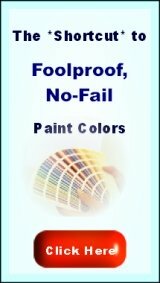 If you want a compabarable quality, try polyurethane-alkyd paint. It's expensive, but of very high quality (scroll down).Most oilbased products have alkyds added, for quick drying. Different brands of oil-based paints look the same, but they're different in their chemical consistency, and some of them don't like being painted over the other (causing trouble like peeling etc.). When painting over oil-based paint, try to figure out the brand of the old layer, and use the same. But if the old paint layer is more than five years old, most chemical traces will have been gone or stabilized. 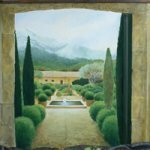 Oil based painting materials are cleaned with mineral turpentine. But there are odor-free alternatives (like zest-it), which are very recommendable (only for cleaning, not for paint thinning). For painting, use natural haired brushes (bristle or dagger), or paint rollers. 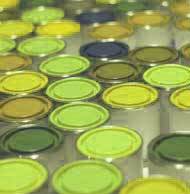 Organic oil based paint is still available, from the brands Auro and Livos. 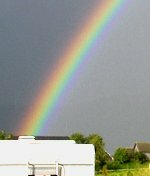 Also very interesting: recently a water-born alkyd paint was developed (Dura-soy). This is good for walls and indoor wood trim - scroll down for more. Polyurethane is put in the group of oil-based paints, though technically it's a resin. It has unique qualities: it's extremely tough and lasting. It's also available as alkyd-polyurethane paint. This is very expensive stuff, but it's very, very good paint - with the right preps and layering, they can still look like new on outdoor woodwork, after five or more years (I've seen Rubbol by Sikkens do this). 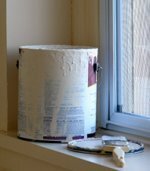 As an interior paint, polyurethane can be applied as a transparent protection film over latex paint layers, or over soft whitewoods. It makes the latex (and even the whitewood!) tougher and more resistent to damaging. Polyurethanes can be waterbased as well, but to my experience they're less strong than oil-based ones. If you're going to do a satin- or high-gloss finish, make sure you get an enamel undercoat primer. Zinsser-bin coverstain (oil-based) is good for this. water-based primers are for interior jobs only. Over oil based surfaces, best take an oil-based primer (Zinsser-BIn coverstain). Shellac is also an option, if you need to block odors.